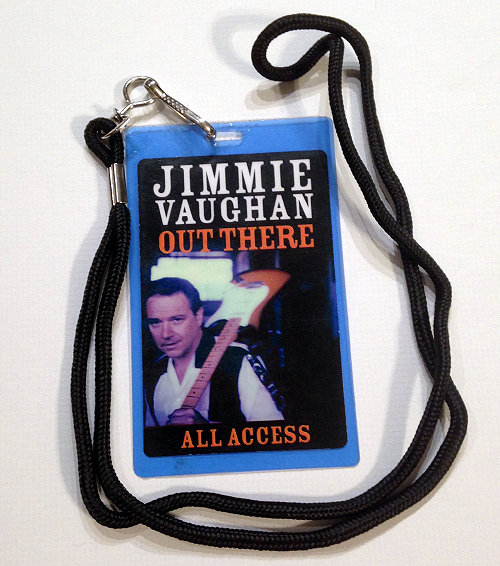 Description: 1996 Jimmie Vaughan Tour Press Pass Laminate. Laminate comes with nylon landyard. 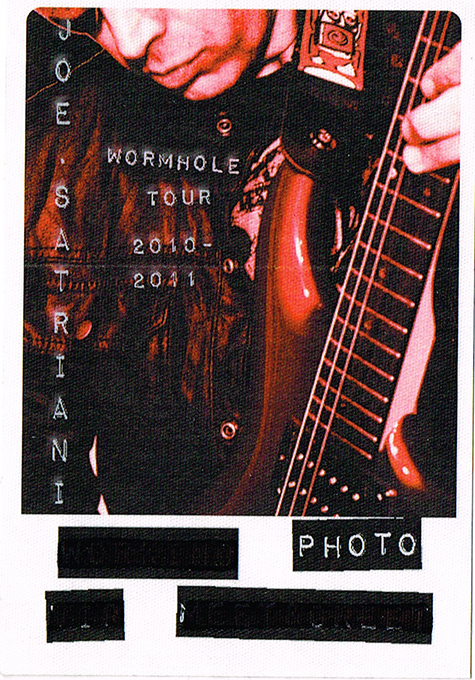 Description: 2012 Joe Satriani Photo Pass. Official show pass issued for press credentials.